The bride looks over her shoulder as her new groom swoops her up into his arms in the middle of the street of downtown Greenville, SC. This sweet couple were full of fun and laughter after their ceremony in Greenville, South Carolina. 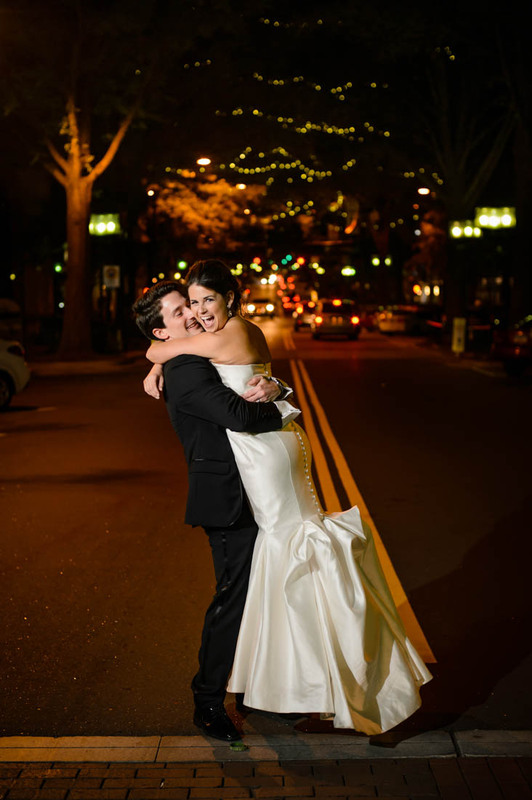 We ran around downtown Greenville looking for a great place to take their picture and the groom picks his bride up and starts to take her across the road and so we stopped in the middle of the road, being safe, and took this picture. It was so fun and sweet, just like this couple.